Product categories of Hammer Crusher, we are specialized manufacturers from China, Hammer Crusher, Hammer Mill Crusher suppliers/factory, wholesale high-quality products of Stone Hammer Crusher R & D and manufacturing, we have the perfect after-sales service and technical support. Look forward to your cooperation! 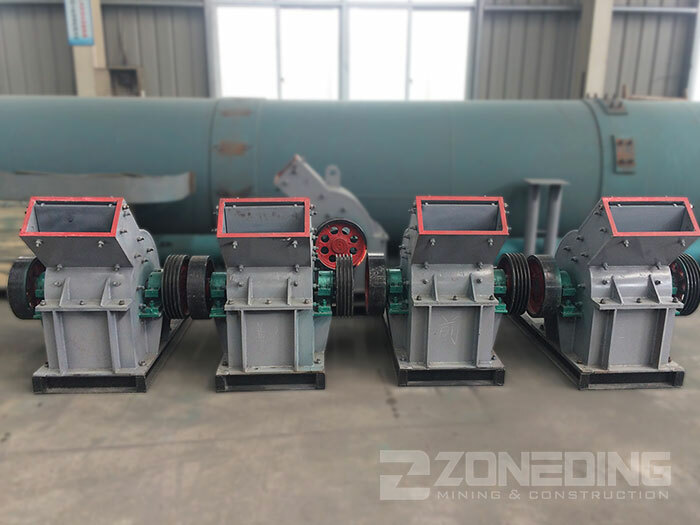 Hammer Crusher is mainly used for crushing medium-hard or brittle materials with hardness not more than 300Mpa and 15% moisture, such as coal, cement, gypsum, alumen, brick, tile, limestone, etc. This Crushing Equipment can be adjusted to reach various discharged granularity as the customers' requirement. The ring type hammer is easy for installation, and when it is damaged, we only need to open the cover and turn around it, little overhaul and maintenance work needed. 2. Developed structure and long service life. 3. Difficult deformation with high strength. The sieve pore is changed from circular to strip, which makes the sieve staggered in order to increase the intensity of sieve plate. After processed, the screen body is difficult to deform and damage. As a result, the life of screen body can be increased up to 3-6 months. 4.Unblocked material flow and large production capacity. The frictional resistance of material filtering can be reduced greatly by the improved sieve plate. And the feeding frequency can be adjusted according to the operation requirements, so the production capacity is improved. 5. Smooth and reliable performance. At one end of the spindle is a flywheel equipped. The rotor will have kinetic energy stored, used to reduce the peak load of the motor and the wear of hammer head, to make it work stable and reliable. 6. Low consumption of spare parts and low maintenance costs. All wearing parts are made of high quality wear-resistant materials. Some of the wearing parts are made of special hard wear-resistant materials. Long service life greatly reduces maintenance costs.